Although he was called back from the 10-day disabled list on July 24 by the Colorado Rockies, former Bridgeport High School all-state pitcher and West Virginia University standout Harrison Musgrave didn't see his first action on the mound until August 4 against the Milwaukee Brewers. He followed that up with an appearance many in the local area were able to see. 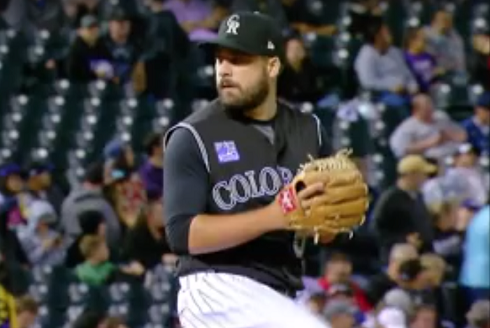 On Wednesday, Musgrave took the mound against the Pittsburgh Pirates at Coors Field in a game that was televised on AT&T Sports Network. The strong left-handed hurler held his own against the Pirates. Musgrave pitched one inning and didn't allow a hit or a walk, while striking out one in a late relief role. Although Musgrave was solid, the Pirates managed to win the rubber game of a three-game series with the Rockies by a 4-3 score. Musgrave is looking to get back into an early-season groove that was hampered by an injury. As of Thursday, he sported a 4.60 earned run average as a middle to late relief pitcher for the Rockies. The Nutter Fort native was called up by Colorado on April 23. He was placed on the disabled list July 14 with a right hip flexor strain that the team felt had led to some pitching struggles after an extremely strong start.